6Persons-3Rooms-1Bathroom-1Private Pool-Parking-Wifi. House with private pool for up to 6 people. 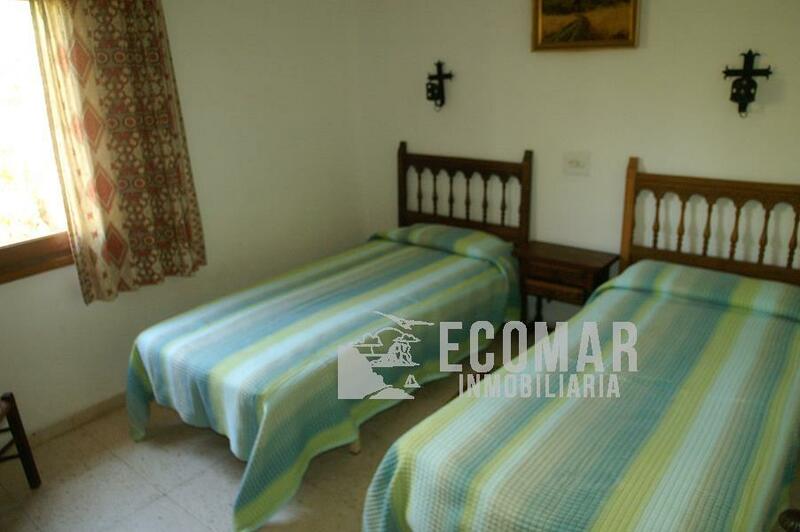 The villa is located in the Urbanización La Canuta, only 1km from the beach of Puerto Blanco. Beautiful villa distributed in 3 spacious bedrooms, 1 bathroom, , 1 showeroom, living and dining room and kitchen. BBQ Terrace, swimming pool with terrace with fantastic views to the Rock and the sea. It also has private parking space. Calpe is 60 km from Alicante Airport and you will arrive in 40 minutes by car on the A-7 motorway. You have all the possibilities for sports: windsurfing, sailing, tennis, hiking, diving, fishing and many other activities. If you are a hiking lover you can climb the Ifach Rock where you will enjoy nature and incredible views that you will never forget. There is also a children’s fair for the little ones to enjoy. Next to the Rock you will find the roman ruins and the queen’s baths by the sea. 25 km from Benidorm where there’s Terra Mítica theme park, Aqualandia (aquatic park) and the Terra Natura zoo and in the night you can enjoy The Benidorm Palace with excellents shows. This villa with a very quiet environment has all the possibilities for you to enjoy the beach and cover all your gastronomic, sports and leisure needs. We will ask for a deposit of 250€ for possible damages at the time of your entry and will return it when you leave if everything is in good condition. Bed linen and towels will be provided free of charge. The house is cleaned before entering and cleaning is included in the price. You need to inform us before the reservation if you have a pet. Check-in is from 16 to 19 hours. and check out before 10am. Closed on Sunday. *Wifi 4€ per day and FREE parking.